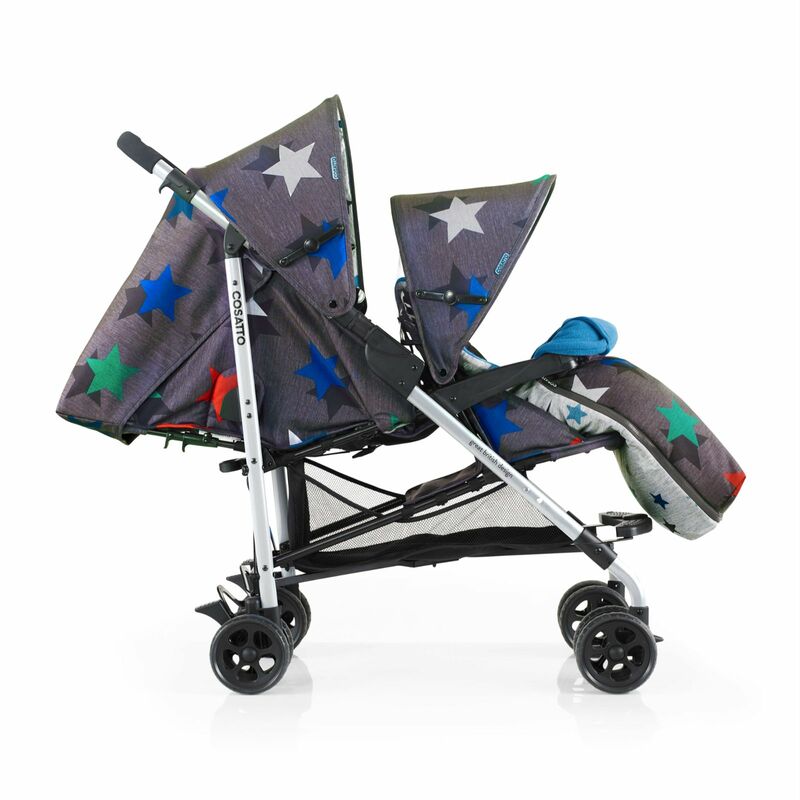 Reduce the need of having two pushchairs with the Cosatto Shuffle Tandem Double Stroller. 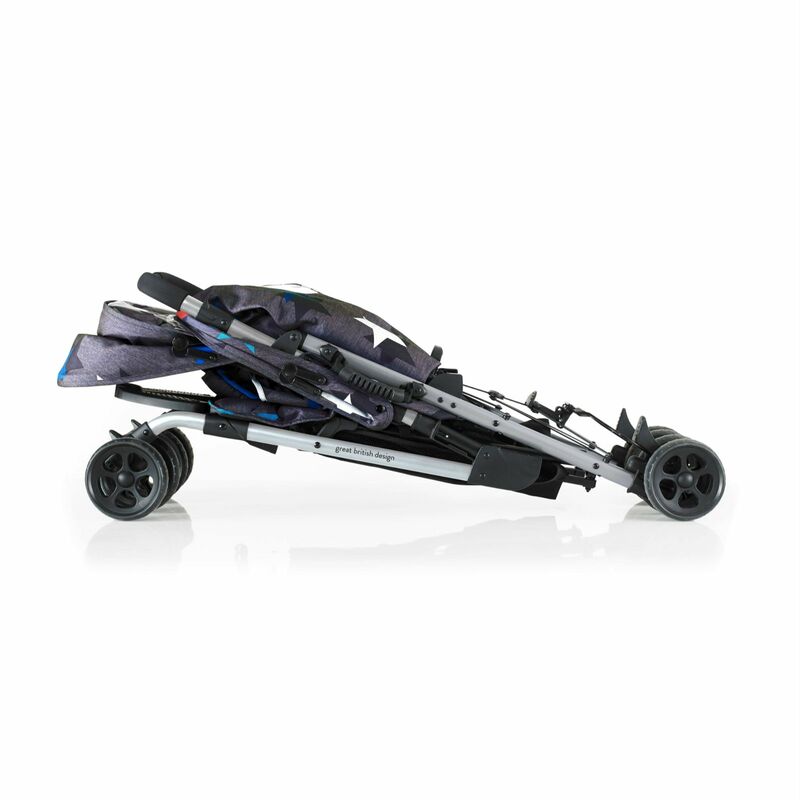 This is the perfect double buggy for when you have children of two different ages. This double pushchair knows no limits, this compact umbrella fold tandem fits through those tiny gaps with ease. 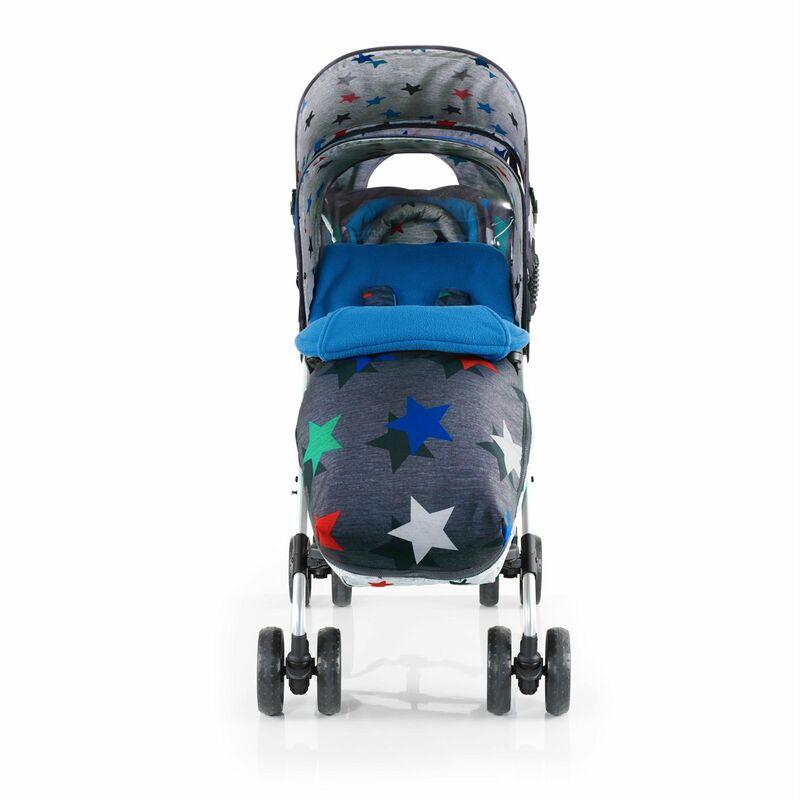 Suitable from birth, this Cosatto tandem has 3 recline positions or a lie-flat mode which guarantees that all-important comfort for your little one when out and about. 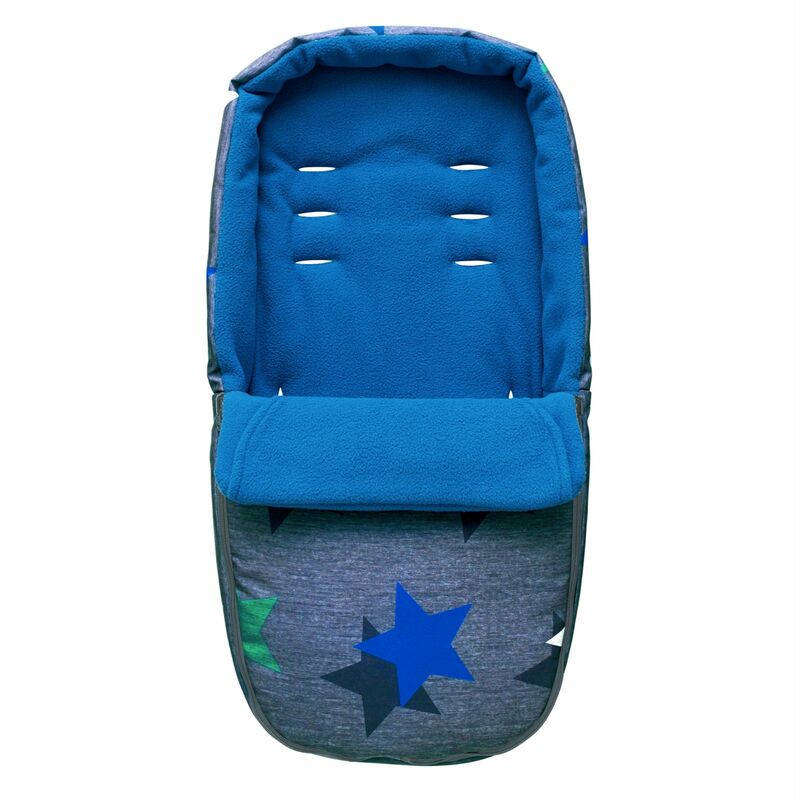 Meanwhile, the front seat is suitable from 6 months, with chest pads and footmuff (included) to ensure that both of your little ones are extra cosy.